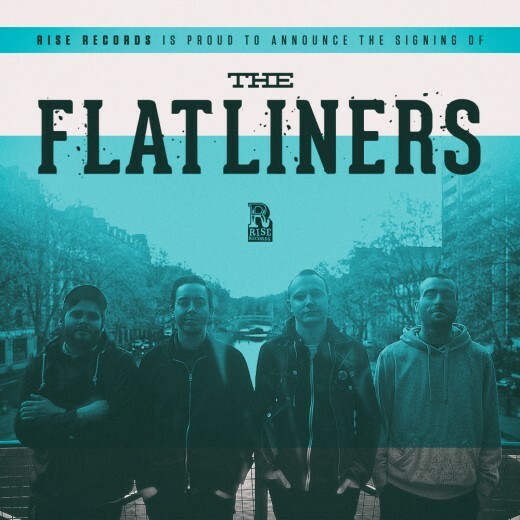 Dopo più di 10 anni sotto Fat Wreck Chords, i Flatliners firmano per la Rise Records (Bouncing Souls, 7Seconds, Tiger Army, Teenage Bottlerocket, Hot Water Music, Ray Rocket). La punk band di Toronto farà uscire un nuovo LP presumibilmente in primavera del prossimo anno; vi terremo aggiornati a riguardo. L’ultimo full length dei Flatliners, “Dead Language”, è uscito nel 2013 per Fat Wreck, mentre il mese scorso è uscito l’Ep “Nerves” (Dine Alone Records). Today we start a new chapter in our band’s life. We’re excited to announce that we have signed to Rise Records and will have a new album out in early 2017! Now, we’ve been lucky enough to have called Fat Wreck Chords home for the last decade, and to be a part of that family is something truly incredible and something that we will continue to be for the rest of our lives. To everyone at Fat Wreck, we love you all from the bottom of our hearts and cannot thank you enough for taking a chance on some 19-year-old Canadian geeks all those years ago. Thank you for making our childhood dreams come true, for all the undying friendships that we’ve forged over the years, and for all the hard work you’ve done for our band. It has been an amazing ten years! ?? Looking forward to the future and we invite you to join us. Whether you’ve been with us since the beginning, or you’ve just discovered our music, thank you all for having our backs and for allowing us to do what we do. Music is always something to be shared, and we’re gonna keep real busy next year sharing ours with you!